Welcome to Bridgnorth Veterinary Centre Hydro-Physio Unit - As seen on TV! We would like to introduce our facilities and ourselves. Our philosophy is to treat our clients animals as we would like our own to be treated. We pride ourselves on a high quality service and our friendly approachable manner. We believe communication with our clients is as important as the care their pet receives. In addition to the actual hydrotherapy we are offering an all round package for rehabilitation, physiotherapy and well-being. We have a dedicated hydro-Physio suite, with a state of the art aquatic treadmill. 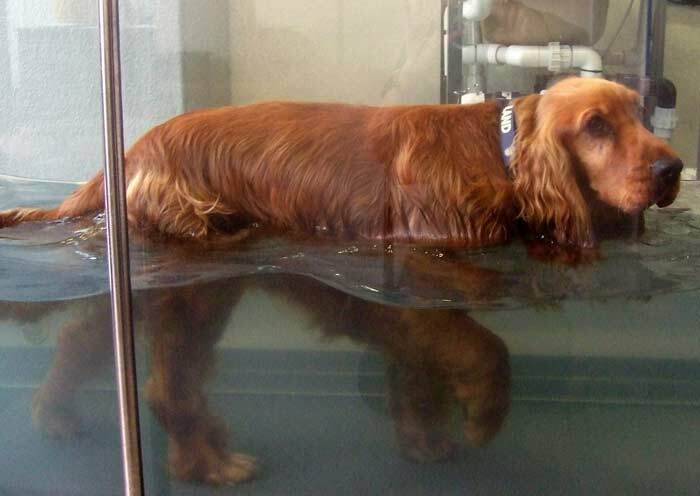 Our staff are veterinary trained to a very high standard in hydrotherapy and physiotherapy. The aquatic treadmill is a unique hydrotherapy unit as it ensures control over limb placement and usage, rather than free swimming – in which very little limb control is possible. The water level aids buoyancy and can be useful in determining the angle of flexion or extension of joints.